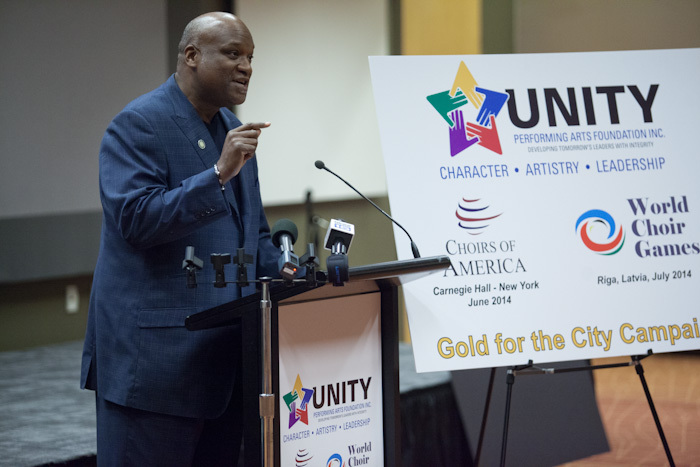 Fort Wayne's Voices of Unity Performing Arts Foundation has recently been given the opportunity to participate in two life changing experiences. Mayor Tom Henry and Sweetwater's Chuck Surack present the Voices of Unity with a check. They have been invited to take part in the 2014 Choirs of America Music Performance Nationals at Carnegie Hall in New York City in June; the first invitation ever received by the group. Not only will the group have the opportunity to perform at Carnegie Hall, but they will also be traveling to Riga, Latvia, and compete against 80 countries to defend their current gold rank at the 2014 World Choir Games. 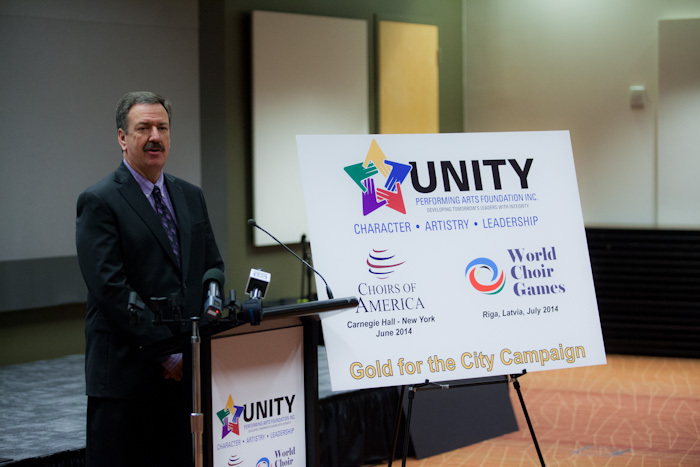 "The Gold for the City campaign is another extension of what they (Voices of Unity) have done for many years. It's an effort to bring to our community the voices of the young to make sure our city is truly all it can be." 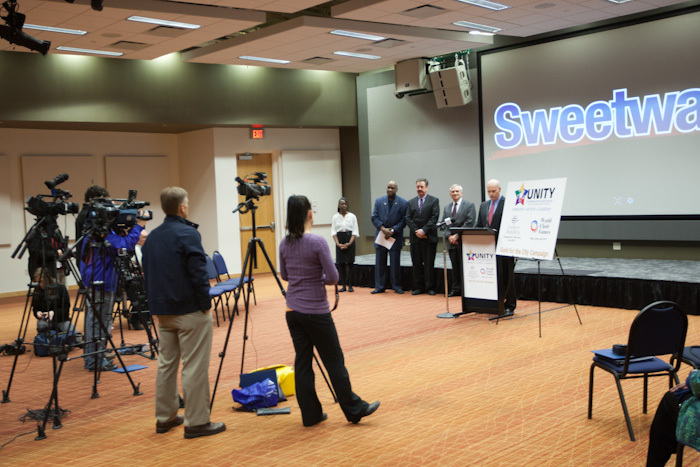 Sweetwater Sound has launched the campaign with a $50,000 gift, encouraging the power that Unity's program has upon transforming the lives of our youth.